Apologies for the incorrect information in the last post. The Rob Bryan who responded to the post via Facebook about the certainty of any Republican winning the General Election for NC-09 was not the same Rob Bryan who was the former Chair of the Meck GOP. It was a different individual with the same name commenting on local politics. The post has been removed to avoid any confusion. I started this blog to support conservative candidates and push for conservative principles. If I did not think Ric Killian was the hands down best choice in this race, I would not have written this piece. If you step back and take an objective look at the maelstrom that has become the Republican primary for NC-9, it's hard to not think "what a mess!" The primary for this relatively safe Republican seat has been reduced to negative bickering and name calling between some candidates, while several others proceed with chances that are slim to none of even getting to a run-off. How this mess is resolved is important. I say this is a relatively safe seat because if the wrong candidate is chosen it could actually put this seat in play this November. Throughout all of this, one candidate has remained poised and refused to get down in the muck. That candidate is Colonel Ric Killian - the State Legislator for District 105 in South Charlotte. When you compare him and his record to the other candidates as well as think about the campaign this fall, I find it hard to see how he is not the best name to represent the Republicans against Jennifer Roberts. Cornelius Today posted a pair of dueling endorsements last week which more than anything else I've seen can be used as a proxy for who may be seen as the most "conservative" candidate in the race for NC Senate 41. See "Gilroy endorses Aneralla; Woods endorses Tarte" at the link. What makes these endorsements more interesting than most is the fact that both endorsers work directly with one of the candidates on actual governing - serving on boards and making decisions together. That they come to different conclusions on who will govern "best" as a NC Senator says a good bit about who will be the most conservative. Davidson Community Garden Off to Great Start! As of Monday 4/23 DCG will have delivered 135 lbs of food to Ada Jenkins getting off to a great start towards the annual goal of 1 ton of food donated to the food pantry. 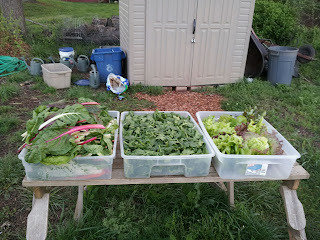 Here's a sample of one recent delivery of swiss chard, spinach, and lettuce. Other produce delivered to date include several 5-gallon buckets of beats and turnips, carrots, and even a couple heads of cabbage - all of which overwintered. If you've missed the debates so far in the NC-9 race, here's a video of Thursday's Charlotte Chamber event. There will also be more debates coming up if you want to catch the candidates live. See The Morning Line on NC-9 for more details. Also see the follow-up coverage from the Iredell GOP/Stand Up NC debate here. Bonus Observation: The negative campaigning by the Pittenger camp seems to be taking it's toll - on Pittenger. The Twitterverse is starting to show signs that people are getting frustrated with it - as they should. When going to political events, always sit in the back. That's my rule. The back row is where the reporters hang out. It gives you the best seat in the house to watch the audience, and let's face it - it's the audience's reactions that really matter at these things. In fact, you learn as much by watching the audience as you do the candidates. So, before tonight's show started, I asked the TV reporter standing next to me if he thought there were going to be any fireworks. His response? "They always say there will be, but there never are." I'd say he was only part right. There weren't any 4th of July boomers, but some candidates definitely stepped on a few firecrackers. The coming weeks in the NC-9 Congressional horse race will see lots of jockeying for position. As candidates enter the homestretch in these final 3 weeks before the primary on May 8th, there are several upcoming events people can attend to learn more. Two of the biggest will be debates in Iredell and Mecklenburg Counties. Check the below Facebook links for the details. Single-issue debates and referendums can often make for unexpected (and unintended) political alliances which turn an expected result into a surprise. The May 8th vote on Amendment One to define marriage into the North Carolina Constitution is shaping up to be just such an occassion. If history is any guide, one would assume this amendment passes easily in the only remaining Southern state to not have such a provision in its state constitution. If it fails, that will be due to those assumptions being wrong. After planning and then canceling a closed session on an undisclosed topic prior to Tuesday's monthly Board Meeting, a closed session was re-added to the end of the agenda at the start of the evening's business. When the event was added Tuesday evening, Mayor Woods stated it was for a "legal matter" - one of the main areas where closed sessions are allowed by law. Ironically, this game of 3 card monte with closed sessions played out immediately after recognizing the graduates of the Town's latest Civics 101 class where citizens are supposed to learn how local government is supposed to work. Talk about unfortunate timing. Will citizens be allowed to vote on the Red Line now that the proposed plan requires significantly more local tax dollars than just what the 1/2 cent transit tax provides? The simple answer is “NO”, voters will not get a say in the decision to move forward with the Red Line Regional Rail project. 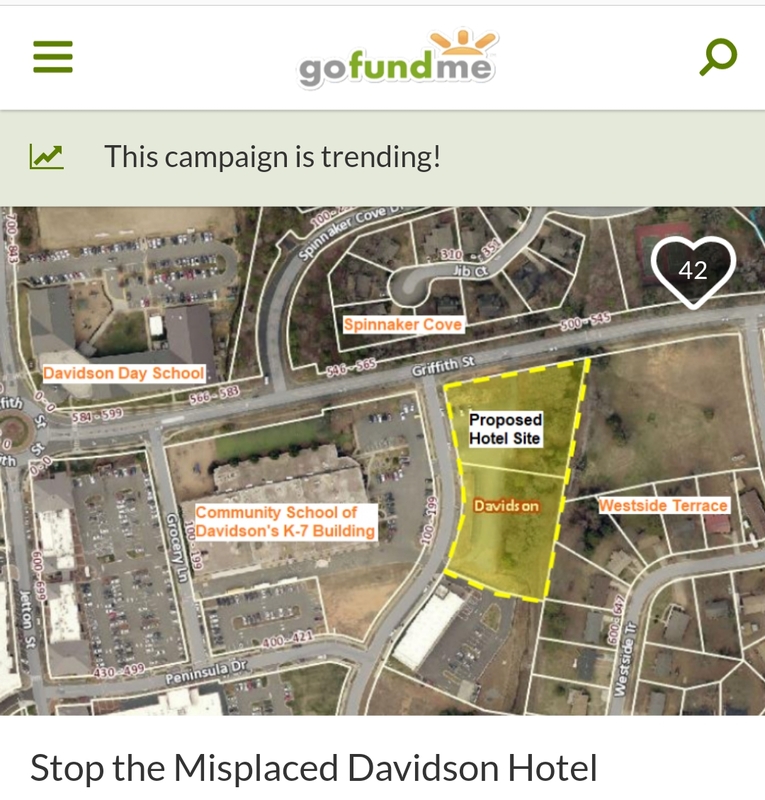 The less simple answer is that it’s a conscious choice by those who created the plan to use financing mechanisms and a project governance structure that do not require a vote of the people.